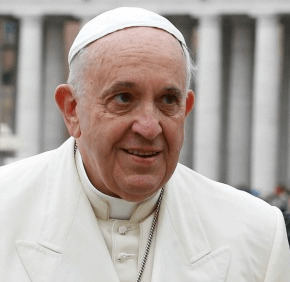 VATICAN CITY – God’s plan for fruitful, everlasting unions between a man and woman has been lost in a world filled with skepticism, distrust and hostility, Pope Francis said. A culture that does not value “the stable and life-giving covenant between a man and woman is certainly a loss for everyone. We must bring honor back to marriage and the family,” he said April 22 during his general audience in St. Peter’s Square. But much also must be done to return respect and dignity to women, who are often exploited, objectified and understandably skeptical of the possibility of harmony between men and women, he said. The pope continued his catechesis about the family with the second of two talks on the complementary nature of men and women. The Book of Genesis shows how God created the heavens and earth, and then a special creature made in his likeness to care and watch over the earth. Even though man was “the culmination” of God’s creation, still “something was missing,” the pope said. In the Garden of Eden, Adam “is free, is master, but he is alone and God sees that this ‘is not good.’ It’s like a lack of communion, a communion is lacking, a lack of fullness,” he said. God, therefore, creates a woman whom Adam instinctively and “joyfully” recognizes as “part of him: ‘bone of my bones and flesh of my flesh.’ Finally there is a mirrored reflection, a reciprocity,” the pope said. Eve was not an exact “replica” of man, he said, but was made by another original creative act by God. The image of a woman being made from a man’s rib “does not at all express inferiority or subordination, but on the contrary, that man and woman are made of the same substance and are complementary,” Pope Francis said. Speaking off-the-cuff, the pope said it also shows the secret to encountering a woman as well as love: “to find the woman, man must first dream about her and then he will find her,” he said to applause. While God generously entrusts the earth to this man and woman, the evil one “introduces suspicion, disbelief, distrust in their minds,” which leads to their disobedience, he said. “They fall into that delirium of omnipotence that pollutes everything and destroys harmony and we, too, feel that inside lots of times – all of us,” he said. “Sin generates diffidence and division between man and woman. Their relationship will be undermined by thousands of forms of abuse of power and subjugation, of deceptive seduction and humiliating arrogance,” he said. People can still see traces of “the negative excesses of patriarchal cultures” and chauvinism, which view women as second-class citizens, he said. If people cannot “jump-start” a renewed drive for God’s intended covenant of communion and harmony, protecting young people from “mistrust and indifference, then children will come into the world even more uprooted from this (covenant) starting from the mother’s womb,” he said. The text of the pope’s audience remarks in English is available online. Pope to visit Cuba first before heading to U.S.